SSL Secured & Google PageSpeed Tested! With over 50% of all traffic now coming from mobile devices, our Responsive Dealer Websites are optimized for functionality and speed. All websites come standard with SSL Certificates to ensure data is secure. Google also provides a rankings boost for secured sites. All of our sites are Mobile Friendly and PageSpeed Tested by Google to ensure incredible scores for the highest possible search results. We use the latest in responsive design technology, to ensure your website is compatible with all devices and you dominate the search results. The latest version of our responsive platform is the fastest on the market, scoring in the high 90s from Google PageSpeed. All sites are completely secure, while using the industries strongest SSL Certificates to keep your customers’ data safe and secure. We have taken the user experience to the next level with our Secure Responsive Video Platform. By immersing your customer in a truly unique multimedia experience, allows you to keep your customer engaged on your dealership website longer than other traditional websites. Your website is the online face of your dealership and the place where most potential customers go to learn about your dealership, browse your inventory, and make an initial connection with your business. Even if you have a strong presence in social media, a strong, functional website is key to building your online presence and helping you not only connect with your potential customers but making sure they come to see you for their next car. In order to do this, you also need to make sure your potential customers find your website. 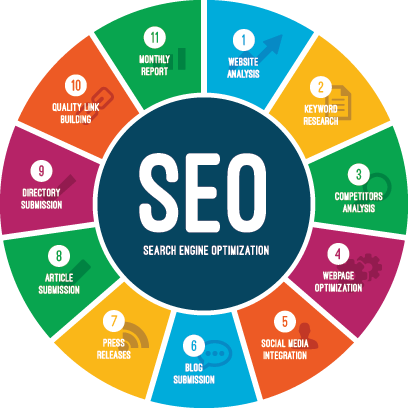 Guiding potential customers to your website is simple when you’re partnered with fusionZONE Automotive, we provide the perfect mixture of search engine optimization (SEO), social media marketing, and traditional marketing that’s been proven time and again to get in-market consumers to your website – and get them to stay there. These days, everyone has a smart phone in their pocket and a tablet in their briefcase or purse; most of the time, they use these more than their desktop or laptop computers. Even if you have a great website, its functionality and design might not be optimized for use on a mobile device, which is where fusionZONE Automotive shines. Reaching your potential customers across their wide range of mobile devices is simple with a fully-optimized responsive website. These sites aren’t pared-down mobile versions, they are fully-functional, completely intact, and contain every bit of information that a regular website does – they just look better, no matter what size screen they’re viewed on. With a fusionZONE Automotive responsive dealership website, you can ensure that potential and existing customers can view your website, no matter where they are. A responsive website makes it easy for your customers to view your inventory, get directions to your dealership, and even utilize your on-site applications while they’re on the go. All fusionZONE Automotive responsive sites are as fully-customizable as our standard sites, and you still get all the goodies: complete content optimization, search engine optimization, social media marketing, and traditional marketing. Our dedicated and specialized OEM compliance team ensures that your dealership’s website is 100% OEM compliant, while also focusing on customer conversion. Furthermore, while utilizing our marketing solutions, we can also process co-op for many OEMs! Car dealerships are more than just car sales, which is why we offer more than just car sales-focused dealer websites. A great way to bring more customers into your automotive service and maintenance facility is with specialized Service Websites. These sites are optimized with unique content about all things vehicle maintenance, repair, and service. Let your potential and existing customers know that they can count on your dealership to not only sell them a great car, but help them keep that car in great condition. Driving traffic to your Service Website will drive more traffic to your main website, meaning you’ll have more people viewing your inventory. Whether you’ve got two dealerships or twenty, it might prove difficult to unify multiple websites for dealerships that specialize in different vehicle brands, especially if you’re trying to target cross-shoppers who don’t know what kind of car they want to buy. 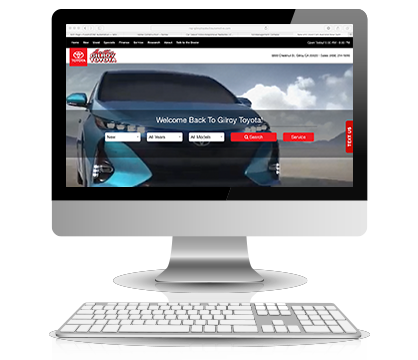 If you’ve got a large automotive group and want to increase traffic across all of your different websites, the first step is to put them all in one easy-to-find place with a Dealer Group Website. Once they land on your Group Website, potential customers have easy access to all your other sites, information about your assorted automotive services, even directions to each of your dealerships. For some people, one of the most intimidating parts of buying a car is getting financed. Many potential customers are looking for a dealership that will guide them through the often confusing auto loan process, especially if they have poor credit. Whether you have a new car franchised dealership, a used car lot or a buy-here-pay-here shop, a great way to reach more customers looking for special financing. Our Finance Websites are the perfect way to reach more shoppers looking for bad credit or no-credit loans. Having a separate finance site makes it easy to distinguish your dealership branding from your distressed credit branding. Our support team and turn around time is beyond comparison! Our fast & secure websites have the highest conversion rates. On average, your support requests are completed within 24 hrs. In some cases, while you are on the phone. Our Quality Control team ensures your website is 100% up-to-date, optimized and fully compliant with OEM standards and requirements. Multiple offices allow our support team to handle your requests in a timely manner, while other website companies are closed.